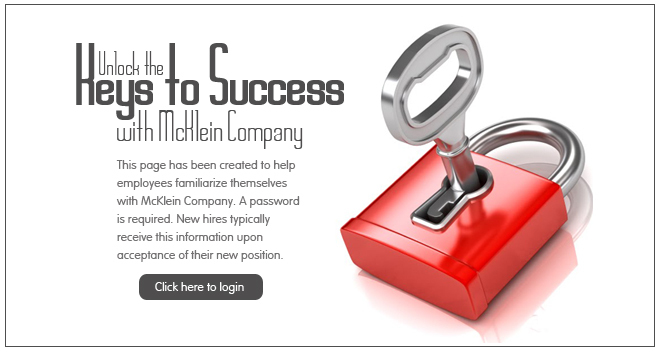 Welcome to the McKlein Company Employee Onboarding Site. If you are a McKlein Company employee, or have recently accepted a position with McKlein Company, you can click here to send us an email requesting access. Please include your hiring contacts name.